Determining the value of a business is no simple task. Unfortunately, there isn’t one single method that works for valuing all business ventures. There are a variety of valuation methods you can mix and match depending on the individual company. Quite often a company may decide to have a professional appraiser provide findings on the company; however, this is only one part of a much larger picture. No matter what valuation techniques you decide to use, it is important to begin the process with a plan in mind. Do your research on each of the methods of valuation; choose what best fits the particulars of your company, and then go for it. But remember to be flexible as well. One example of a feasible valuation method might start with a Cost to Recreate (the cost of starting from scratch). Next, you may want to use one of the Market Multiple methods (comparing the valuation and cash flow of similar companies). Finally, you may plan to employ the Discounted Cash Flow method (projected future cash flow minus projected expenses). Each of these will provide a different number and give you a range to look at for your final valuation. But if along the way you realize one of these methods doesn’t work for your situation, have a backup plan. It is important to analyze the company’s financial statements for a proper accounting of value. Remember, though, that many companies write off as many personal expenses as they can when doing taxes. To ensure a more accurate picture of the finances, add in the personal expenses claimed as tax deductions. This includes golf trips used for business, business lunches, etc. • Owner Team Experience: Has the owner founded additional businesses? The level of experience the founder has, whether successful ventures or not, can add value to a business. • Market Density: Does the population density match the needs of the business to create a successful endeavor? • Intellectual Property: Intellectual property won’t show up in the asset column of a financial statement. It should, however, still factor into the value of the business. Keep in mind that all capital is not equal, and each individual will place a different value on various aspects or assets within a company. Also, remember that when you are open to financing, you may be able to ask for a higher price. A buyer may be willing to pay more through financing a larger portion of the sale than they would be willing to pay in cash. Entrepreneurs tend to place value on the potential they see in a business, but unfortunately, that doesn’t translate into real value. 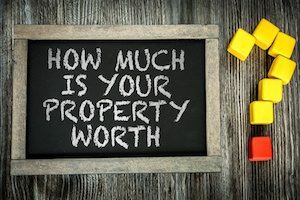 When hiring an appraiser or broker to provide an impartial valuation, you add credibility to the numbers you come up with yourself when you are determining the value of a business. Never go with a broker who feels there is one hard and fast way to arrive at a company’s value. A broker with an open mind and a willingness to tailor the process will serve you best. • Be realistic. Know your industry. • Understand the ways in which your industry is changing and evolving. • Know what factors can boost or threaten the price of your company such as litigations, awards, etc. Not only is inflating your figures unethical, but it can also severely threaten your credibility. Just don’t do it. It is never worth it. If you discover that a broker is attempting to inflate figures, let that be a red flag to take your busness elsewhere. Need a trustworthy business valuation to help with determining the value of a business? The Global Valuation team can help you get the facts you need. Simply visit us online or call (770) 988-4498 for more information.